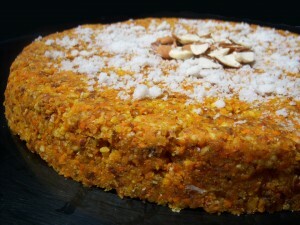 Sponge Fruit Cake recipe by Nazia Nazar at DesiRecipes.com. Beat eggs well, add in the sugar and beat till it turns creamy,. Then add in the veg. oil and continue to beat the mixture. Then add in vanilla essence, the dry fruits, and a little milk. Fold in the self raising flour and mix well with a wooden spoon. Pour in the cake mixture into the pan and bake at 180C (350 F) for 45 mins. Remove from the pan and cool on a wired rack. After that cut into slices and serve hot for tea.